Ask any pie lover—the words "southern" and "pie" go together like ripe fruit and flaky pastry. And behind all the mouthwatering, light-as-a-cloud meringue peaks and the sticky dark butterscotch fillings lies a rich and delicious history. 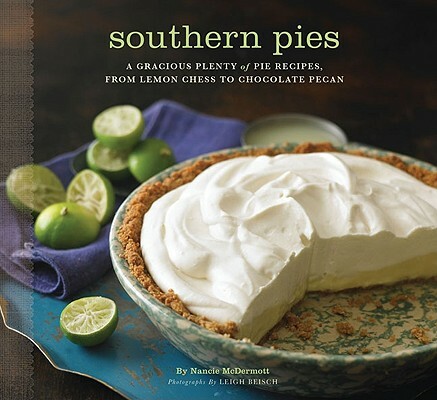 In Southern Pies, some of the South's most famous bakers share recipes for 70 pies. Perfect for bakers of all skill levels, these pies are made with simple, easy-to-find, and gloriously few ingredients. Featuring such classics as Sweet Tea Pie and New Orleans Creole Coconut Pie, this tasty homage will fill everyone at the table with Southern hospitality. Nancie McDermott is the author of six cookbooks, including Southern Cakes. A food writer and cooking teacher born and raised in North Carolina, she now lives with her family in Chapel Hill. Leigh Beisch is a San Francisco-based photographer.